Hello! 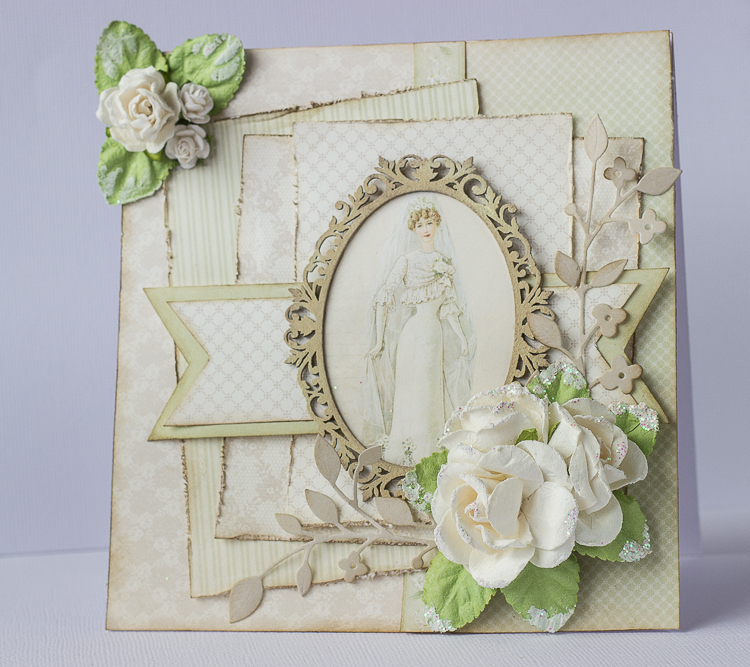 A couple of friends are getting married soon and I made this card for them with the gorgeous Vintage Wedding papers. Very pretty and an elegant card! Love the image as well as the placement of the papers around her.